�����The Central States Convention was a little quieter than expected. Dealers did not see much new material and the public was rather sparse. Of course, the Heritage Signature Sale still managed to reap the desired results of a major offering. An 1853 Arrows and Rays Seated Quarter, in NGC PR67 realized $166,750 for this finest certified rarity. In addition, an 1879 $4 Gold Flowing Hair, in NGC PR66 sold for $184,000, while a 1921 $20 Saint Gaudens brought $218,500 in PCGS MS63. �����In this week's LD Wholesale Market Dealer Price Guide, we have found further stability in the Market prices. There are fewer declines overall with intermittent increases. Buffalo Nickels have been soft for several months, but this week the majority of Market prices are unchanged with a few higher. The 1913 D TI in MS64 increased to $110 and the 1938 D/S in MS65 advanced to $140. Shield Nickels appear steady at current Market prices with several dates higher in MS64. Some of the Proof issues in PR63 to PR65 also increased. In Proof Liberty Nickels, there are advances in PR63 to PR66. Mint State coins appear to be steady at present Market prices. �����Barber Dimes and Quarters are showing some strength in Mint State issues up to MS65. There are current buyers for all of the common dates and some of the better dates at current Market prices. Barber Dimes are up to $135 in MS63 and $250 in MS64. In MS65, the 1893/2 in MS65 is up to $4,000, the 1904 S is now $3,650 and the 1913 S is $1,475. In Barber Quarters, MS63 common dates are $290 and MS64 is $440. 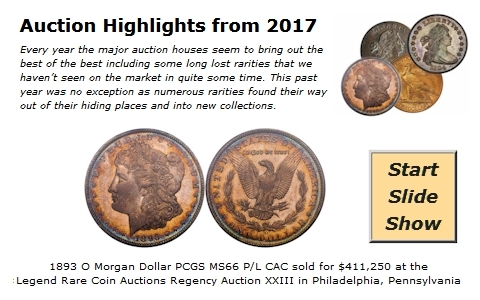 Seated Dimes and Quarters are steady at current levels with buyers looking for undamaged coins. Any of the better dates are on buyer lists and typically command premiums, especially if they have very low populations for the grade.